Unilever- a British-Dutch based company is one of the oldest and most renowned multinational companies in the world. It is the third largest consumer goods company owning over 400 brands available in around 190 countries in the world. Unilever Bangladesh Ltd., being a subsidiary of the Unilever in Bangladesh has also become one of the leading multinational business firms in the world of FMCG industry. Over the years the company has been growing by bringing world class innovative products to the people of Bangladesh. More than 90% of country’s households use one or more of Unilever products like- Lux, Sunsilk, Surf-Excel, Vim, Dove, Knorr etc. To make the brands more popular and to make the products more visible to the consumers, the Merchandising department of UBL, which is a core part of CD (Customer Development), has been working restlessly over the years. I was lucky enough to work such closely in this department and experience real life business issues and challenges which have really widen my knowledge and sights. It is literally impossible to find a person in Bangladesh who does not know about Lux, Lifebuoy or Sunsilk shampoo. From the people from rural zones to the urban areas, everyone recognizes these products. May be they do not know very well about the company that has been producing these amazing products over the years but they definitely like to use these. Well, the innovator and producer of these revolutionary products is the globally recognized company- Unilever. Unilever- a British-Dutch based company is one of the oldest and most renowned multinational companies in the world. It is the third largest consumer goods company owning over 400 brands available in around 190 countries in the world. Unilever Bangladesh Ltd., being a subsidiary of the Unilever in Bangladesh has also become one of the leading multinational business firms in the world of FMCG industry. To maintain the quality and to make the brands more popular among the consumers the employees of UBL works hard and takes those projects that will best suit the company. They analyze the markets properly, tries to forecast the scenario in advance, takes proper steps, makes arrangements and does business as pre-planned. Each and every department has specific responsibilities to perform but the overall objective is the same- achieve the company’s ultimate goals by providing the consumers with innovative and healthy products that will add vitality and will ensure a sustainable environment for all. Learn how to adapt with new culture and people with diverse skills and backgrounds. Secondary: For secondary data collection I went through UBL’s website, official Facebook page, previous internship reports and available articles on the internet. Basically, I did a qualitative research and used my overall observational aspects while preparing this report. Unilever is a British-Dutch based company, with a history of colonial exploitation, on which it has gradually built its capital. Today it owns more than 400 of the world’s consumer product brands in food, beverages, cleaning agents and personal care products. Unilever employs more than 174,000 people and had worldwide revenue of €49.800 billion in 2013. Unilever has two parent companies: Unilever NV in Rotterdam, Netherlands, and Unilever PLC in London, United Kingdom. Both Unilever companies have the same directors and effectively operate as a single business. The current non-executive Chairman of Unilever N.V. and PLC is Michael Treschow (May 2007) while Paul Polman (January 2009) is Chief Executive Officer. The net income in 2014 was €5.515 billion and the total number of employees in 2015 is 172,000. Unilever’s major competitors include Nestlé and Procter & Gamble. However, many of these are local that can only be found in certain countries, e.g. Fair & Lovely. In Bangladesh the number of UBL’s existing brands is 22, which are categorized in different sections. This wide range of products and brands offered by UBL shows the realization of the simple universal fact – “different individuals have different needs”. Unilever Bangladesh Ltd follows different functional level strategies to gain competitive advantages and sustain it in the long run in the matured industries. The Company increases their efficiency through exploiting economies of scale and learning effects. For example, 808,720 bars of soaps, 1,023,810 packets of detergent powders, 154, 430 toothpaste tubes and sachets,329, 530 bottles and sachets of shampoo, 156, 910 tubes, jars, bottles and sachets of creams and lotions, and 35, 000 packets of tea are produced in one day in Bangladesh by Unilever. They adopt flexible manufacturing technologies, upgrade the skills of employees through training and perform research and development function to design products that are easy to manufacture. They have higher customer responsiveness rate. They carry out extensive research to make innovative and new products and modify the existing products to better satisfy the consumers. They continuously research on product development, promotional activities, packaging and distribution. This way they can respond quickly to customer demands. They follow cost-leadership strategy as they have intermittent over capacity and the ability to gain economies of scale. This way they can produce cost effective products and yet be profitable. They also follow differentiation strategy for some products to meet the needs of the consumers in a unique way. They also target different market segments with different products to have broad product line. By product proliferation they reduce the threat of entry and expand the range of products they make to fill a wide variety of niches. As a worldwide famous company and comprising internationally renowned brands gives them unique strengths that allow a company to achieve superior efficiency, quality, innovation, or customer responsiveness. The different policies and strategies Unilever follows and their experience is transferred to Unilever Bangladesh Ltd. They import the raw materials from the places where it is less costly, thus achieve location economy. They are locally responsive. They are always ready to improve and modify their products to meet the needs of the local customers. UBL follows a multi domestic strategy where the companies extensively customize both their product offering and marketing strategy to different national conditions. They involve in short term contracts and competitive bidding for the supply of raw materials. They have a diversified business. UBL has both related and unrelated diversification. They compete in nine different industries with various products from home care, personal care and even food products. They have economies of scope as most of the products can share the same manufacturing facilities, inputs and specially the distribution channels. In terms of Unilever, they have two chairmen leading the company worldwide. They have seven top directors leading seven different departments. They have divided their worldwide business into different region and have different business groups to manage them. Unilever Bangladesh limited falls under the Southeast Asian region. On a more micro scale, Unilever Bangladesh ltd is monitored by Hindustan lever Ltd. which oversees operation in Bangladesh, India, Pakistan and Srilanka. The chairman of Unilever Bangladesh Limited is known as the managing director. The management staff of the company consists of six layers, starting from junior manager (who are local managers) to manager grade 5 (who are Unilever managers). Apart from this the company also hires many non management staff as well as operatives to work in the factories. Human Resources Department headed by the Human Resources Director (HRD). Unilever Making a positive contribution to society through their brands, the commercial operations and relationships, their voluntary contributions to the community and through their wider engagement with Bangladeshi society. 72% of the company’s value addition is distributed to the Government of Bangladesh. UBL operations provide employment to over 10000 people. Unilever believes in ambitious growth of the business while fostering a sustainable environment. We believe the two must be related and hence sustainability is placed at the heart of everything we do. Our philosophy of ‘Doing Well by Doing Good’ is captured in the Unilever Sustainable Living Plan (USLP). Lifebuoy Lifesaver Program – a Lifebuoy initiative to reduce child mortality through hand washing with soap. Oral Health & Hygiene Awareness Program– led by Pepsodent, this school-based activation program aims to reach 7 million people with its dental checkups and oral hygiene awareness. Lifebuoy Friendship Hospital – launched in March 2002 in association with the humanitarian organization “Friendship”, the hospital is situated on a boat with a dedicated medical team and reaches out to people who do not have access to proper medical facilities. Pureit – launched in 2010, Pureit is a water purifier which aims to provide safe drinking water to 2.5 million people by 2015. Pollydut – through this project unemployed youth in villages have been incorporated into our distribution network to provide them with a sustainable livelihood. Project Laser Beam (PLB) – PLB, a multi-million dollar, multi-stakeholder project between Unilever Foundation and WFP, was conducted in Shatkhira, Bangladesh from 2010 to 2014. The project worked across four pillars – Nutrition, Water, Health and Hygiene, and Livelihood, to develop a holistic model to eradicate malnutrition. Tackling Malnutrition – 2 projects with Save the Children addressing child malnutrition have programs running in 4 divisions of the country. These projects are aimed at aiding the Government improve their malnutrition treatment infrastructure and provide direct interventions for effected individuals in terms of nutrition education and livelihood. Eco-efficiency – Unilever Bangladesh Limited always tries to reduce the impacts of company operations by efficient manufacturing equipments and proper waste management system. Eco-innovation – Unilever Bangladesh Limited also aim to mitigate the impacts of Unilever Bangladesh Limited products by using recyclable packages and safe ingredients. Sustainability programs in fish, agriculture and water. Unilever Bangladesh Limited Code of Business Principles. An effective tool to reach out to the millions having no access to mass media. In UBL, the whole market of Bangladesh is divided into seven regions. These are: Dhaka Metro, Dhaka Outer, Chittagong, Bogra, Khulna, Rajshahi, Sylhet. At the very beginning of the year, brand managers and other associates and merchandising personnel along with the head of the CD department sit for several meetings to plan, discuss and make strategies for the entire year’s merchandising initiatives. These proposals are evaluated over and over again and examined at various levels for the maximum outputs. Throughout the whole year according to the market demand and situations, many other merchandising proposals and orders are given, taken and even changed. The employees of the merchandising department work restlessly to bring out the best outputs. Most of the time, the production is done through external vendors and agencies. For example: Fahim AD, Images, Azad Art Hall, Step Media Ltd and so on. These agencies are very efficient and trustworthy. On the other hand, UBL has CM (Contract Merchandiser) at every region who is properly trained by the MM and are responsible to carry out the duties appointed upon them by the company. Picture/Video of the Item: This was the most important element of the presentation as the main objective of the presentation was to showcase new and innovative merchandising ideas which, if applied in Bangladesh, can boost the business. Channel: The main objective of this point is to clearly mention which item will be most suitable for which channel. For example like, there are several products (LED touch screen, LED split screen) which are produced only for modern trades and are not at all suitable for UWMG or RCS. Thus, this point clearly notes down and makes everyone properly understand about the specific channels for different products. Brand: This point- “Brand” mainly notifies which product is most suitable to be merchandised by specific POSM items. Not every product can be merchandised by every POSM items. It depends on the cost and quality of the product. For example: Fabric backlit can be used to promote all the brands. On the other hand, PET Film is most suitable to promote brands like- POND’S White Beauty, Sunsilk. Price: It mentions the costing of each item that UBL will have to spend if they decide to purchase that specific item. Objective: This is also one of the main points which thoroughly describes about every item’s advantages and how it can add value to UBL’s merchandising. It points out every details and benefits of all the items. The second presentation that I had to prepare was based on the POSM items from India. This one is pretty much similar to the China presentation. However, the only difference is that, this time, I had witnessed every product and could actually understand the worth of every product. (2) Translating English Presentation to Bangla: Here, I had to translate a presentation which was on “CM Training” from English to Bengali. There were forty-five slides in the presentation and I had to translate all of it. Adding shop boards in UGS, UNG and in different shops of rural areas is a key task of merchandising. It is mainly done by different agencies. After every execution, the agency had to send CDs, putting all the pictures of all the boards that they have worked on. It is done to ensure accountability and find out whether there needs any further improvements or not. I checked almost six hundred photos and pointed out the errors. CM salary statement checking was one of the routine tasks of my internship period. There are several factors to be considered while checking the statements. It is calculated monthly. There are some fixed amounts as well as variable amounts that vary as per towns and working days. Basic salary, TA (Travel Allowance), DA (Daily Allowance), HOPI, LOPI had to be calculated with the amount decided by UBL. I used to note down every miscalculation and after that would report that to the MM or ASM. Backlit database: As mentioned earlier, UBL provides merchandising items to the shops; it also bears all the costs associated with these. Thus, all the electricity and other bills are paid by UBL. The TM of every town sends the backlit bill amount quarterly as per the format given by the merchandising department. There were updates from total fifty-two towns and I had to compile and adjust all the data accordingly. On the other hand, I had to prepare data summary as well through pivot table. Winter POSM: To promote winter products (Vaseline, POND’S Lotion) the merchandising department started work on it earlier. They provided POSM items like- In-shop Glossy Sticker, Street Block Poster, Roman Banner etc. All the executions were done through different agencies. These agencies continuously updated the merchandising department of their progress from total one twenty six towns. I used to put all the data into one single file and update it regularly. Mini LED TV: To increase the dominance of promotion in the rural areas, UBL merchandising department undertook a very important project this year. They provided Mini LED TV to the selected rural cosmetics as well as urban cosmetics stores. The agencies used to send detailed information and I used to compile and calculate those into one single file. Taking updates from agencies: I used to take update from different agencies about their work progress, any trouble faced and other related issues. After taking all the updates, I used to report those to the MM or AMM. Preparing Subtitles: I prepared subtitles for three advertisements of Fair & Lovely. Basically, I had to listen to every dialogue and had to prepare subtitles for it. The advertisements were on an average of two and a half minutes. I really enjoyed doing this task. As a token of appreciation I got a wonderful pen-drive also. Preparing agenda: In one meeting with a vendor from India, I noted down all the information provided by him. Later on, I had to prepare agenda on that meeting and a mail to confirm him about the POSM items liked by UBL. I used to prepare memorandum on different topics as well. These were basically all my routine activities. Other than these, I had to receive every individual who came to MM or AMM as it is a mandatory part of the company guidelines. Firstly, the merchandising department is a very important part of CD and the work loads are very heavy there. It becomes very tough for only two individuals to handle all the pressures and workloads. Thus, I think the company should employ more staffs in this department. They should organize their meeting processes. I have seen people from different agencies and other companies are coming now and then there and sometimes they have to wait long since the MM and AMM can be busy doing other tasks or attending another meeting at that time. Moreover, it is distractive. So, they should allocate specific time periods for such meetings and let the agencies know about it earlier so that they can come at that time and finish it appropriately. The work life balance is very little at UBL. Many employees come very early in the morning and leaves quite late at night, around 9 pm even. So, maybe their hard work is good for the present but in the long run UBL may face lack of efficiency and productivity in its employees. The territory officers make several mistakes while preparing reports on CM salary statements and on other projects. So, I think they should arrange a formal meeting having every officer at least in every quarter a year so that everyone can be trained and be made clear about the required formats, updates and processes properly. After joining UBL as an intern, I did not get any formal orientation to learn about specific company rules and guidelines which made lots of problem for me. I was not introduced to anyone other than my line manager, thus I faced some trouble while working with other individuals there. The company puts the interns in those departments where it needs one. They do not consider the intern’s major or minor, like I have done my major in finance and HRM but I was recruited in the merchandising department. Having little knowledge over merchandising items or processes, I used to take more time than I normally need to understand every aspects of it. On the other hand, I have seen other interns complaining about it too that they had even lost interest to work more due to this reason. 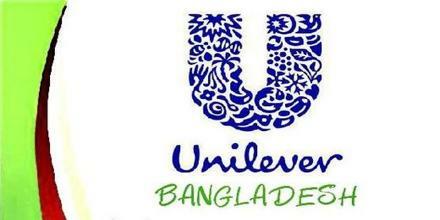 To work such closely at this global MNC like Unilever Bangladesh Ltd. has been truly an amazing experience for me. I got to know so many new things and aspects of real business world that really boosted my knowledge and excellence. On the other hand, working in the merchandising department also gave me scopes to learn about totally new things as I had little knowledge about merchandising earlier. Through this report I have presented my overall work experiences during my internship period at UBL. I have discussed about several aspects of merchandising and the way the company is doing business in the country. I am really pleased that I got the chance to do my internship at UBL which really increased my practical knowledge and have made my overall BBA program more complete and enriched.